Summer is so special, especially after that wild winter weather we endured. This summer has been truly extraordinary. We enjoying the warm sun, sand and surf, but this year we are eating food so delicious it almost makes me weep everytime. At the farm a whole day’s worth of experiences are rolled into one which is delightful. In the city I would struggle to get groceries, provide a mind expanding way to entertain the kids, and churn out the meals with all the boys under foot during the summer. Workouts were few and far between, as I would need to be quite aggressive to squeeze that self-induglent time in. Then there’s the constant battle to put down the devices, cram some veggies down their throats and vy for fun family time. Here the grocery shopping becomes the stimulating entertainment for the kids and serves as family bonding time. 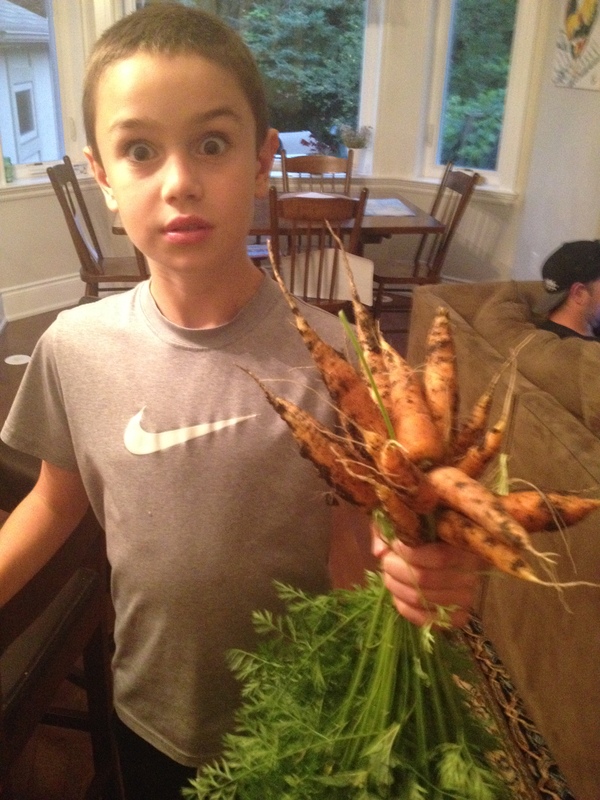 It’s fun to see how veggies grow, what insects and animals have been through the fields and we all love to get dirty and test your strength at pulling the biggest weeds or carrots. We are often in a full sweat by the time we wrap up “the shopping” and always enjoy a fist full of sweet carrots, whole juicy cucumbers and plenty of the most delicious green beans along the way…that’s before veggies are served with the meal. We currently have no wifi so the boys have taken to Mtn biking and building their own dirt jumps to pass the time. It’s magic and almost effortless to shop, feed, entertain and enjoy those boys. Can’t get enough, straight out of the ground. 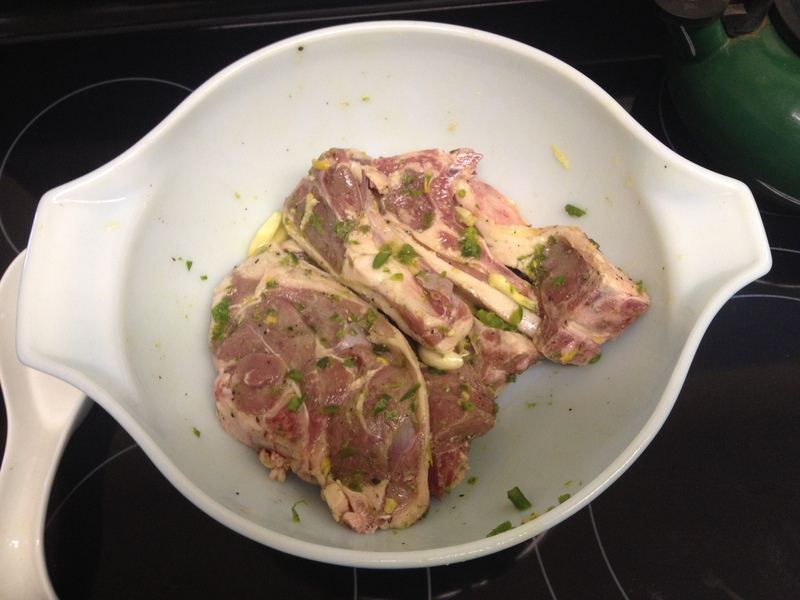 Lamb and Beef marninating in a garlic scape vinaigrette, so delish! Shimmying through the rows of fresh, ripe veggies to pick our dinner (with plenty to go around for family & friends) has nourished my soul. 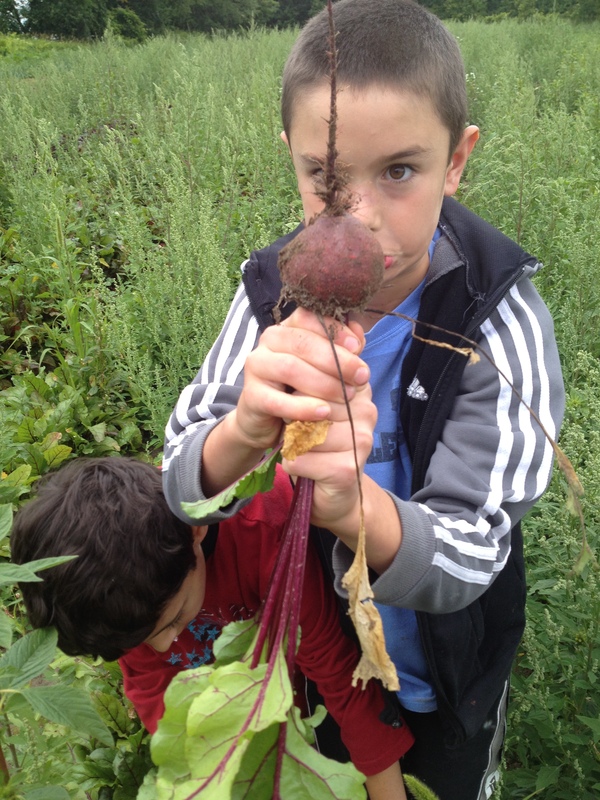 There is something very satisfying about heading out to the fields with the kids to weed and pick our food. 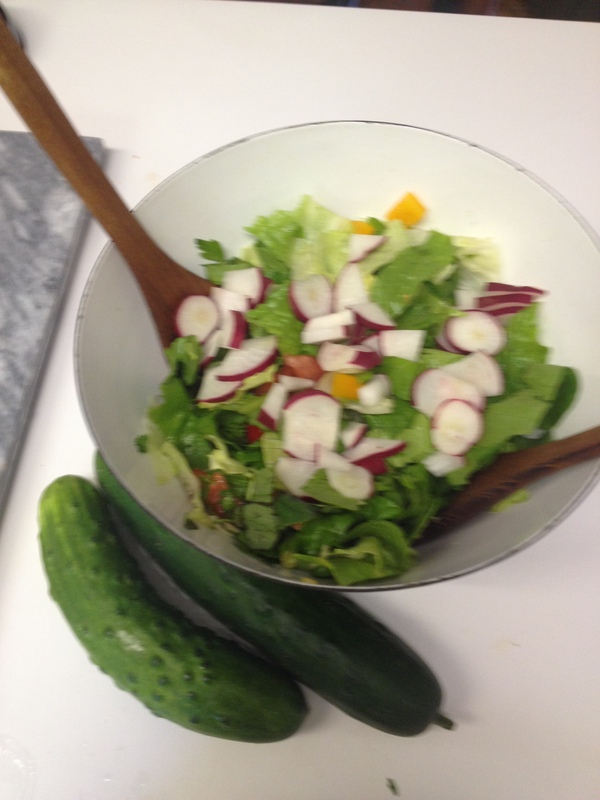 It’s the freshest I have ever tasted and that’s coming from an avid farmers market shopper. We often emerge sweaty and covered in soil – just filthy – but it’s the most indulgent and luxurious way I have ever shopped. I feel spoiled, so ruined that I have real trouble shopping for produce at the grocery store during the growing season. 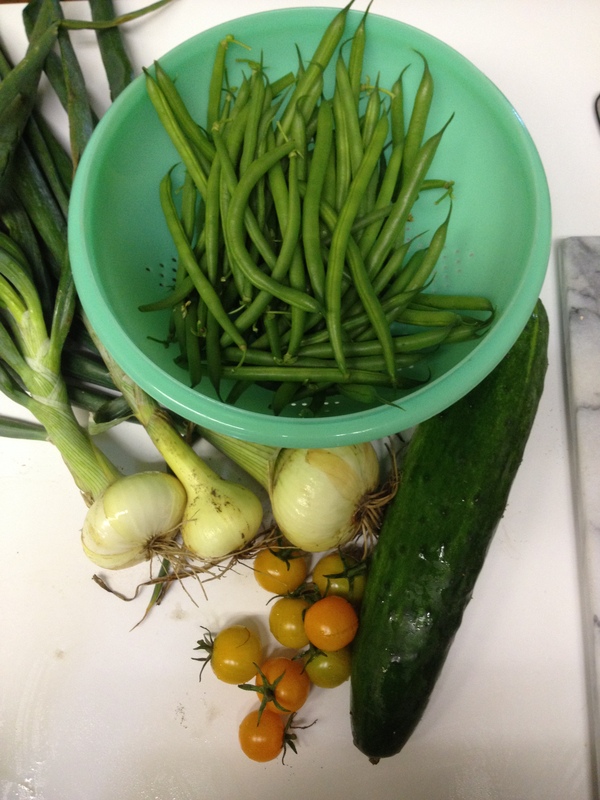 Farm fresh organic is best, and I feel so grateful to have it all at our fingertips. 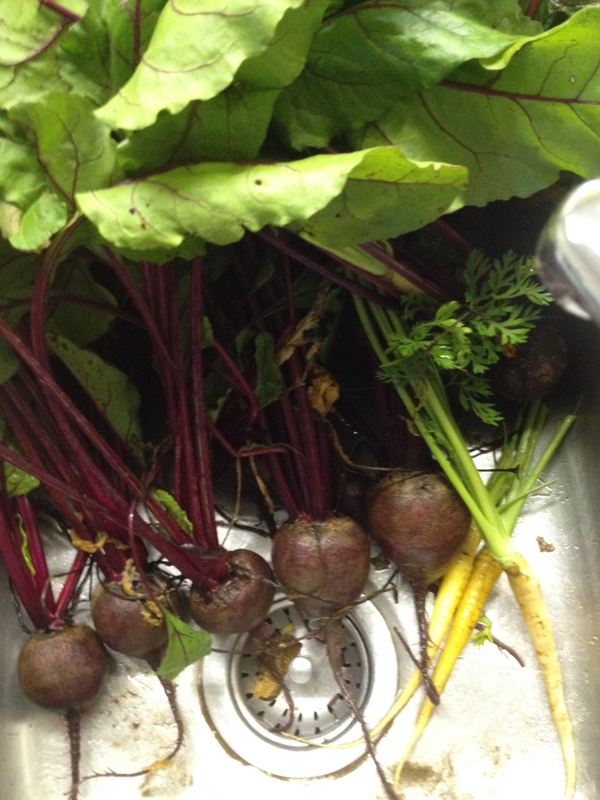 Boiled these up, made a beet salad with pumpkin seeds and goat cheese – yum!